The Sahara group faced a setback today with the Supreme Court directing Sahara chief Subrata Roy to deposit Rs. 1,500 crore in SEBI-Sahara account by September 7 in connection with the Aamby Valley issue. The apex court fixed September 11 as the next date of hearing in the case. 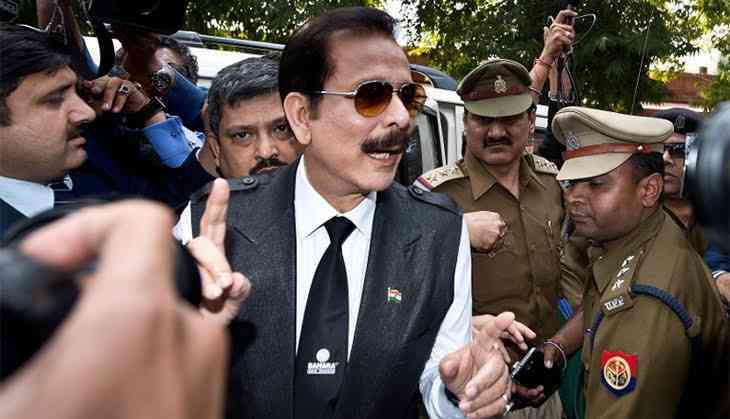 A three judge bench of the apex court, headed by Justice Dipak Misra and comprising Justices Ranjan Gogoi and Arjan Kumar Sikri, was hearing the arguments between Sahara and the Securities and Exchange Board of India (SEBI). The SEBI alleged that Sahara chief Subrata Roy allegedly failed to comply with the apex court's 2012 order directing him to return investors more than Rs. 20,000 crore with 15 percent interest that his two companies - the Sahara India Real Estate Corp Ltd and the Sahara Housing Finance Corp. Ltd. - had raised through optionally fully convertible debentures (OFCD) in 2007 and 2008. The Sahara group vehemently denied the allegations of the SEBI and claimed to pay more than 80 percent of the dues to the bondholders, but the market regulator, SEBI, disputed that and said they have not paid more than Rs. 9,000 crore dues.